The Capitol Market is one of my happy places. It's a bustling, lively market full of people, amazing products and fresh food. It has a number of hot food vendors to provide a bite to eat while shopping. And, Sushi Garden is the latest addition to the offerings. 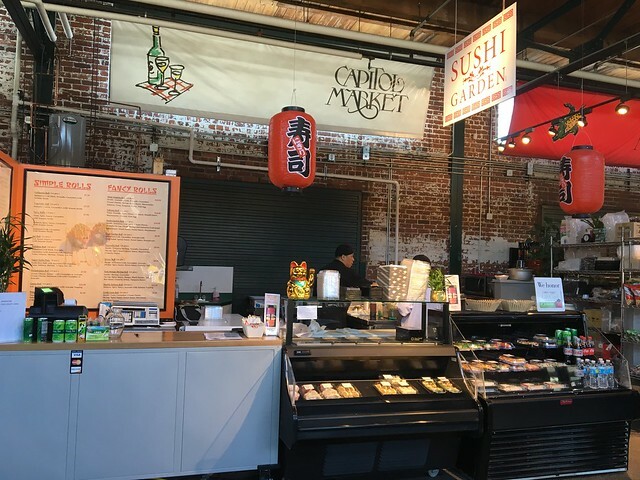 Sushi Garden, located between The Purple Onion and The Wine & Cheese Shop, has hand-rolled sushi rolls prepared daily. 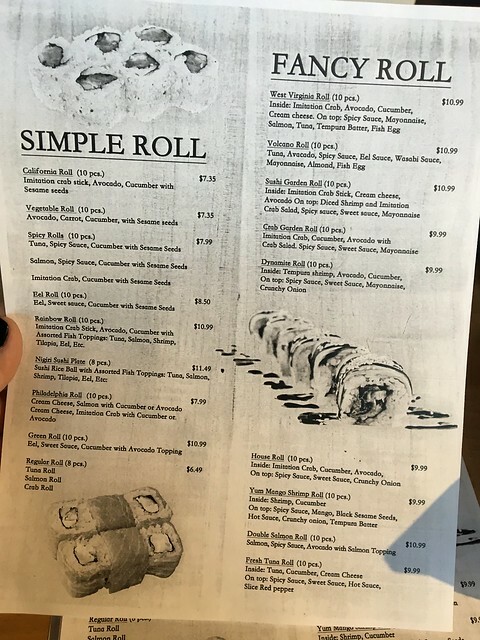 There are some rolls pre-made in the case out front for real grab & go options, or you can order off the menu. 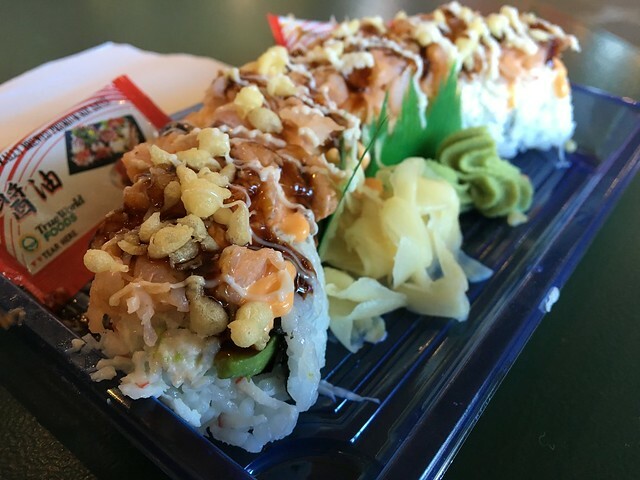 I ordered the popular Sushi Garden roll, which has crab, cream cheese, and avocado inside with diced shrimp and imitation crab salad, spicy sauce, sweet sauce, and mayonnaise on top. If you want a flavor explosion in your mouth, get this. Such a lovely combination of textures and flavors to really make this roll shine. It's loaded with all my favorite ingredients in life (and, yes, I'm sure your hipster friend who pouts about cream cheese will say it's not authentic. Point them here.). Delicious, fresh, and quick. Check it out.